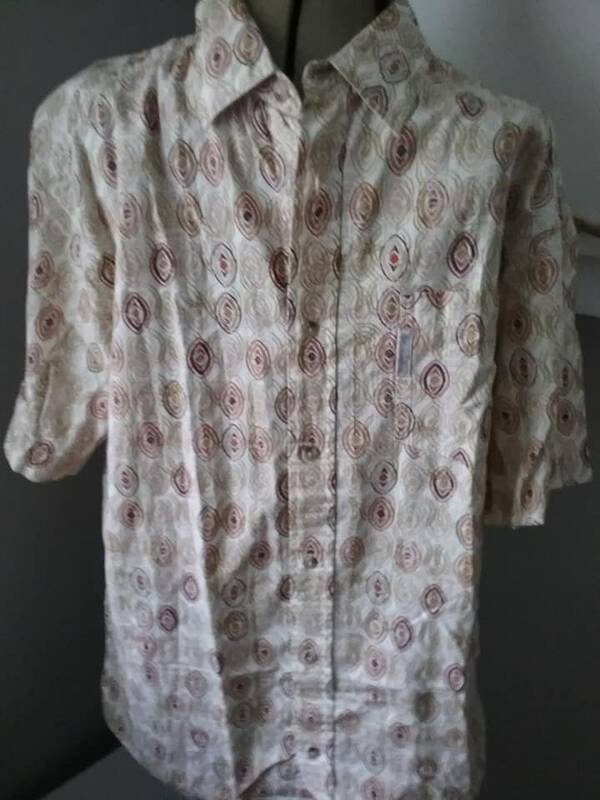 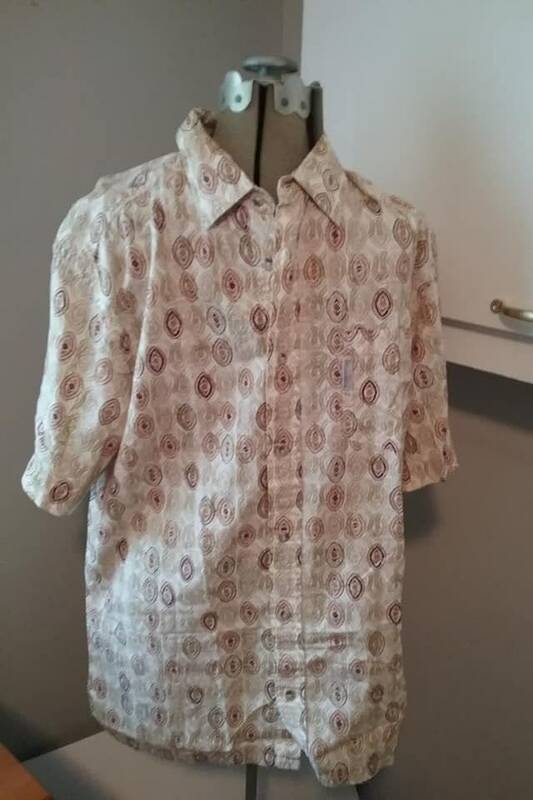 Men's vintage sports shirt by Columbia Sportswear Company. 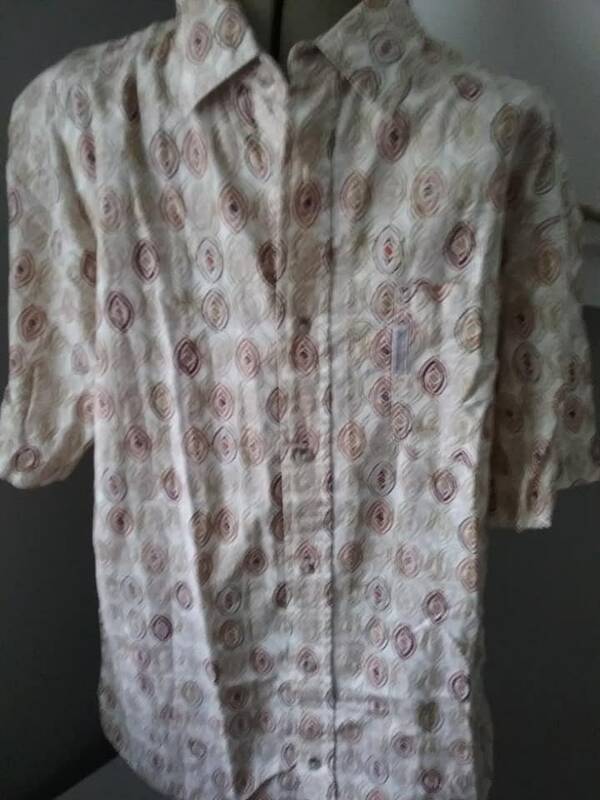 It is a button shirt with short sleeves and is in very good vintage condition. 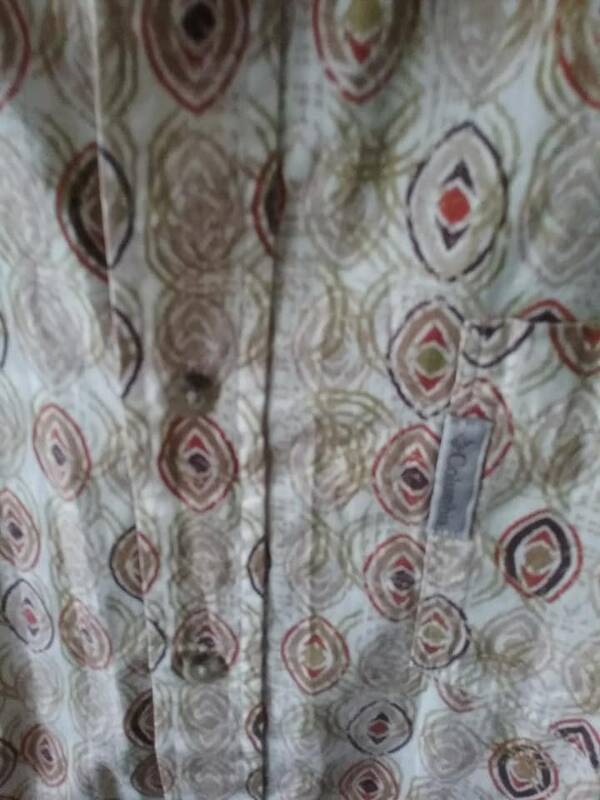 The muted tones of brown, beige, grey and white are set in a geometric design. 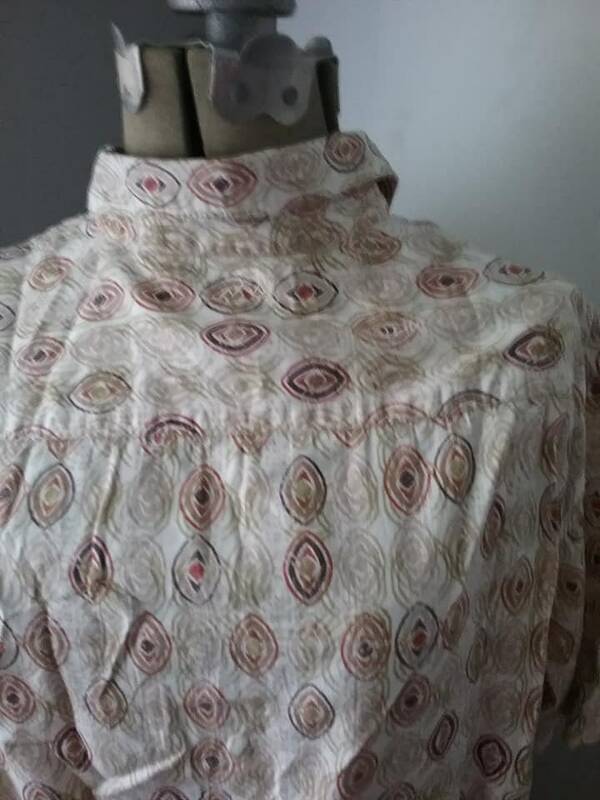 Approx measurements are pit to pit - 23", and length is 32". 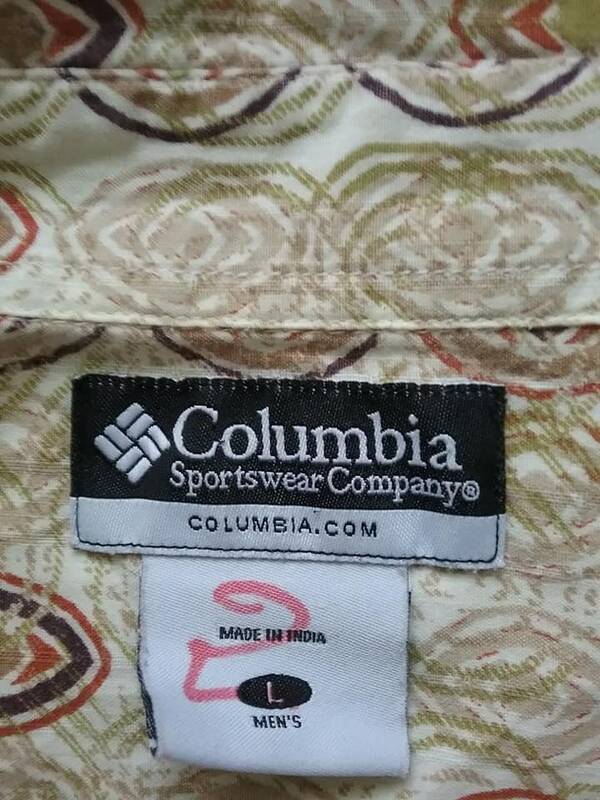 It is a cotton blend, with Columbia tag on pocket. 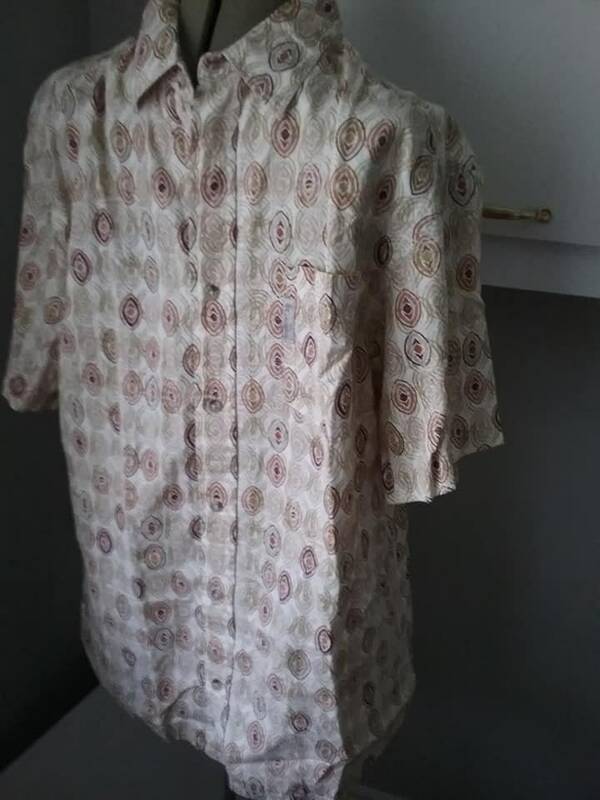 Very retro...dare to wear!